The Fifth Element is an incredibly hard film to categorize. It’s science fiction certainly, but it’s also infused with elements of fantasy, action, and even comedy. This is arguably the most visually captivating and stylish vision of the future to be seen onscreen since Ridley Scott’s Blade Runner. It would exceptional for that reason alone if for nothing else. This vision was almost completely inspired by, and ultimately realized by, the legendary French comic book artists Jean-Claude Mézières and Jean Giraud (known as Moebius to his fans, the creator of Heavy Metal magazine). Fortunately, beyond its simple visual design achievement, The Fifth Element works on other levels too. The story is fascinating and engaging, and surprising performances by Willis, Holm, Tucker, Oldman, and Jovovich really bring it to life. That’s a truly unusual bunch of actors to bring together onscreen, but the ensemble gels against all expectations. Jovovich’s Leeloo is not just authentically alien in the way she speaks, but also in the very way she looks at the world – indeed at everything around her. You buy that this is a being that’s fresh off the turnip truck, so to speak. Earth isn’t just new to her, she’s new to life itself. Jovovich sells her character, and thus manages to tie this film together convincingly. The 1080p widescreen image on Sony’s new Blu-ray was mastered from a fresh 4K scan of the negative, and it’s notably improved from the previous Blu-ray edition. You notice it in little things: For example, there was visible blooming and dot crawl on the opening titles in the previous transfer – that’s now completely gone. The grain structure visible in the previous transfer was more coarse. You can still see film grain in the new image, but it’s far more subtle. This image is improved in more dramatic ways as well: Right from the start, colors are visibly more vibrant, and contrast is better too. The darkest areas of the image are just a bit darker, while the brightest aren’t blown out like they were on the previous BD release. The 2007 Blu-ray also had a slight digitally-filtered appearance, whereas the new image offers much more refined detail and a more pleasingly film-like look. The audio is also improved on the new Blu-ray, but it’s a little more subtle. 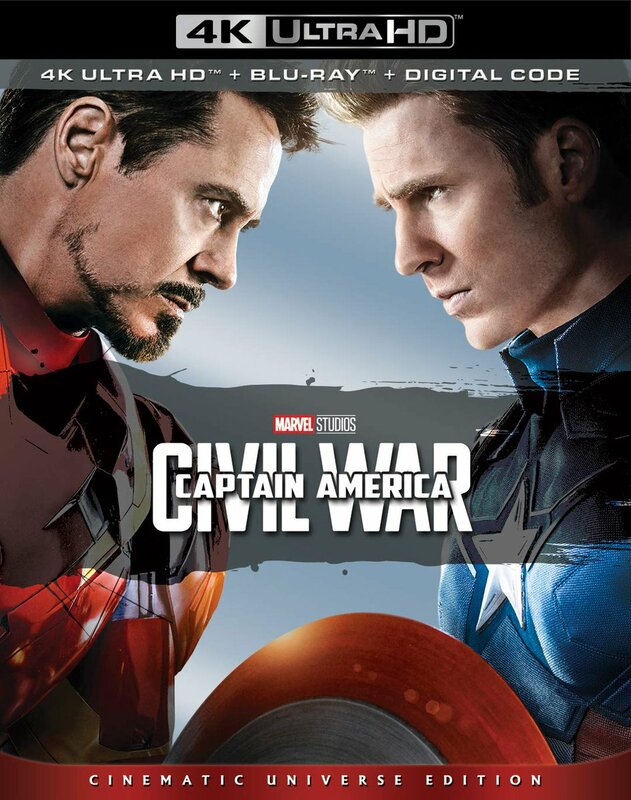 The previous edition included 5.1 English PCM and 5.1 English Dolby TrueHD mixes, along with 5.1 French Dolby Digital. This new disc offers an English Dolby Atmos mix compatible with 7.1 Dolby TrueHD. It’s a bit smoother, with more immersive staging, livelier panning, and slightly deeper bass. Overall, I think the best way to describe it is that the new audio mix is a bit richer and more natural sounding. You also get 5.1 Dolby TrueHD audio in French, and 5.1 Spanish Dolby Digital, with optional subtitles in English, English SDH, French and Spanish. The Fifth Element is far from the best science fiction film you’ll ever see, but it’s certainly among the more unique and intriguing. Even at its most outrageous, the film remains fully entertaining and engaging, with a strange but functionally believable futuristic world that grows more enjoyable with each viewing. No doubt the most serious home theater enthusiasts will prefer to wait for The Fifth Element’s inevitable 4K Ultra HD Blu-ray release next year. But for those of you who may be less eager to adopt a new format, this is definitely the disc you’ve been waiting for. It’s not only affordable (if you go with the regular BD case version), it essentially replaces any earlier version you may have on either DVD or Blu-ray. If you’re a fan, don’t hesitate to pick it up.